What Could the Role of Enterprise Modelling be During the 5th Economic Phase? 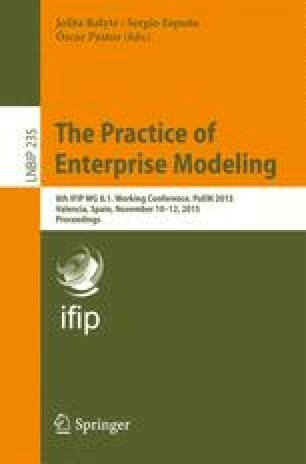 Enterprise Modelling (EM) has emerged as one of the key techniques in externalising and analysing the factors underpinning the intertwining of Information Technology (IT) systems to their enterprise environment. The author wishes to thank Eric Yu and Mohammad Danesh of the University of Toronto for their collaboration on the work presented in [26, 27] on which some of the ideas in this extended abstract are based.